Dr. Cedrek McFadden is a surgeon, writer, speaker, mentor, and an authority in health and wellness. He is board certified in both Colorectal and General Surgery and teaches as a Clinical Assistant Professor of Surgery. He concentrates on disorders from colorectal cancers and Crohn’s disease to hemorrhoids, and minimal invasive and robotic surgery. He has presented numerous motivational and health related lectures to many organizations, churches, community groups, and hospitals. Dr. McFadden graduated with honors from Xavier University of Louisiana in New Orleans and earned his medical degree from Temple University School of Medicine in Philadelphia. His medical training includes a residency in General Surgery from the Greenville Health System and University of South Carolina Greenville, and a fellowship in Colon and Rectal Surgery from the Georgia Colon and Rectal Clinic in Atlanta, Georgia. He is a member of the American Society of Colon and Rectal Surgery and American College of Surgery. Dr. Cedrek McFadden has been interviewed and quoted in numerous local and national media outlets including Dr. Oz: The Good Life, FoxNews.com, Reader’s Digest, BlackDoctor.org, the Tiger Tailgate Show, and Essence Magazine. His blogs have also been published on kevinmd.com. He is also a mentor to both medical students and surgical residents. 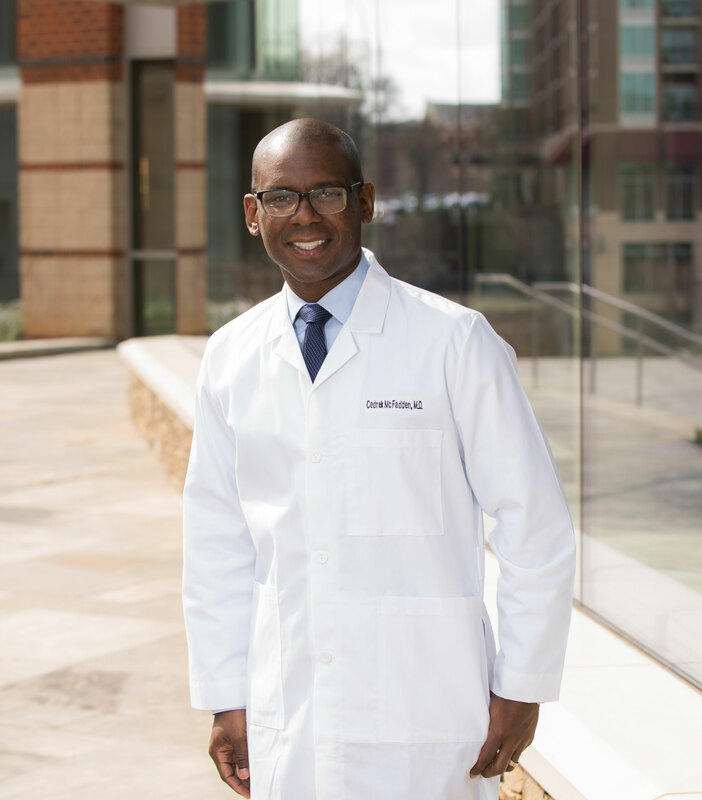 Dr. Cedrek McFadden lives outside of Greenville, South Carolina with his family.